During the past weeks pepper prices moved sideways as anticipated. Only the prices from Brazil are a little up but we feel this is temporarily. Arrivals from Esperito Santo are getting less and the harvest in Para will only start late July. Demand from China for Vietnam pepper seems to slow down a little. Prices of dehydrated onions from India are about 35 % higher than last year. Information about the cropsize is still a bit diffuse but likely it is smaller by some 20 to 30 % compared to 2018. We anticipate prices to remain firm during 2019. After strongly increasing prices of garlic early 2019 China prices now show a technical correction and have come down a little. Exporters and speculators follow the pending crop, that is due in May, closely. In recent days the USD is a little weaker to the EURO. Todays exchange rate stands at 1.1275 Attached our price list – prices are strictly subject to our final confirmation. Pepper prices are slightly higher than 2 weeks ago. Vietnam origin currently determines the market with its 2019 crop well in progress. Good demand from Asian countries, including China, is supporting the current price levels. We believe that pepper prices will continue to move in a narrow range during 2019. The prices for dried garlic have recently increased sharply. Due to low prices in 2018 less garlic is planted and a 30% smaller crop is expected. The prices of fresh garlic have increased by about usd 150 per mt. 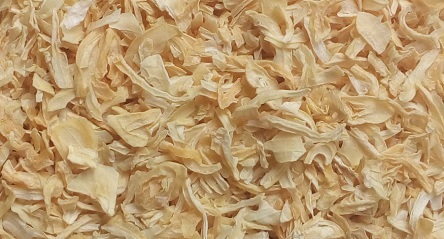 Let's apply a drying factor of about 4 to that, then that comes down to the price increase for dehydrated garlic of usd 600 per mt. This week the ECB announced continued support to the European financial system, which pushed the EURO exchange rate a little down. Vietnam origin pepper market started lower this week after the ending of the TET festivities. The crop peak season has started and will continue until late March. We see prices for 500gr/l FAQ slightly below usd 2,000/t CF but this quality is not suitable for Europe. The price for cleaned, sterilised pepper with an EU pesticide guarantee is more something like usd 2,750/t CF. Vietnam white pepper origin price is more stable around USD 3,550/t. We witness a continuous good demand for cassia sticks. We understand from our suppliers that collection of good raw material is difficult and that prices keep increasing. This explains why the qualitiy of the Indonesian cassia sticks has come down in recent years. We offer different qualities at different price. Vietnam still has difficulties producing nice cigarette rolls cassia sticks. Apart from that the taste is different. China garlic prices seem to have bottomed and recently origin prices moved up 10-15 %. There is abundant material available following a bumper crop in 2018 so it is unlikely that prices increase much further until it is clear what the 2019 crop will be. Pepper prices remain bearish moving sideways. Vietnam is anticipated to have a bumper crop of around 275,000 m/t. Exports will pick up only after the TET holidays (Feb 2 – 10). Even though Vietnam exports pepper year round during February and March extra demand may be anticipated from China and Muslim countries. The latter will actively buy prior the Ramadan starting May 6th. Taking in to consideration the crop size, we feel there is not much upward potential for prices. Cardamom prices keep moving up with price records being established in the Kerala auction and Guatemala gladly following. Importers need deep pockets and hence spot availability is limited. Stockmarkets closed 2018 nervously and we think that this will continue in 2019. Geopolitics and trade wars are not helpful at all. Apart from that we anticpate a weakening US$ Let us see what 2019 brings …. We don’t anticipate pepper prices to recover in 2019 already. The 2019 crop outlook is good and there will be a substantial carry over. Nevertheless we like to repeat that not only the supply of pepper has increased so has the demand, especially in Asia. For that reason, the downward trend may quickly change again if something unforeseen occurs. Slowing down of the world economy in general can also influence the worldconsumption. Price elasticity of pepper in asian countries is higher than in the western world. (from December 21 up to January 2nd our office will be closed). It seems markets are quietly heading towards the end of the year. Pepper prices are stable – not much excitement. Vietnam seems a little easier. SPOT Europe inventories remain tight. Cloves price might firm a little. Pending crops in Madagscar and Brasil are poor. However, Sri Lanka is said to have a good upcoming crop so India demand is well catered for. Apart from that weather conditions in Indonesia are favourable and a good 2019 may be anticipated. Cassia prices remain firm.Supply from both Indonesia and Vietnam is somewhat tight. Garlic prices are a little easier due to weak seasonal demand. Pepper prices move sideways. Brasil remains the cheapest origin with BP prices around USD 2250/t FOB. With new crops ahead in Januari 2019 we anticipate market to move towards the lower end of the trading range. SPOT availability remains tight, especially for WP. China garlic prices recovered somewhat from their previous lows. 2018 crop prices hardly cover the cost of cultivation and consequently farmers planted 30 % less acreage this year. Even though there will be a healthy carry over we aniticipate prices to move up a little further in 2019. A product to watch more closely is dehydrated onion. Indian suppliers state that next years crop will be small and carry over is small, prices already jumped some 30 %. Indian products in general seem to move at higher levels. Sesameseed prices surged from around USD 1800 to USD 2550 boosted by good demand. Also the cuminseed prices gained 25 % upon reports from both India and Syria that crops are smaller than in previous years. Planting in India has been good and somewhere mid 2019 new crop will become avalaible and prices may ease again. The poor 2018 mustardseed crop in Europe seems compensated by a good canadian crop. So the outolok changed from firm to neutral. Vietnam pepper exports totalled 200K mt over the first 9 months of 2018 and year end will reach 250K mt. Taking into account carry forward, imports and domestic consumption it is reasonable to say that 2018 Vietnam crop has been inbetween 250K up to 275K mt. Together with good crops in other origin crops this results in an overall 2018 crop of 550 – 600K which is conform our previous estimates. How come that pepper prices increased around 25 % over the past 2 months ? The answer to that may be the reluctancy of farmers to sell their pepper at (too) low prices. Weakening origin currencies contribute to that. (pepper will keep it’s value, local currencies won’t). Increasing worldwide economic uncertainties fuel this sentiment. Next to that demand and exports remain good with short positions in the market to be covered. With the extremely high prices being paid in 2015 and 2016 in mind buyers feel that current price levels are still interesting. The demand from China for Vietnam pepper keeps growing with an official 30 % increase to 35k mt during the first 9 months of 2018. However, also in the years to come there will be good pepper crops and we consider it unlikely that pepper prices will move up much further. 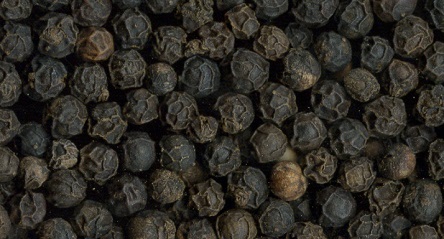 We anticipate black pepper prices (BB.1 / VBP 500 faq) to move within the range of $ 2000 to $ 3000 for the coming 12 months. The dollar exchange rates stands now at 0,88 to the euro and in our opinion has potential to strengthen somewhat further. Market is slowly gaining momentum. Pepper prices bouncing back somewhat from their previous lows early June. Indian origin products, especially from the south, firmed following the recent floodings. 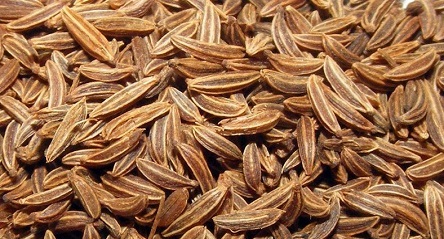 The crops of nutmeg and cardamom are said to be affected. Pimento prices came down a little further to levels around usd 2150/t CF for FAQ quality. The collection of the green berries will be finished in 2 weeks time and by then we should see a more stable market. This year there is a good crop due to favourable weather conditions. 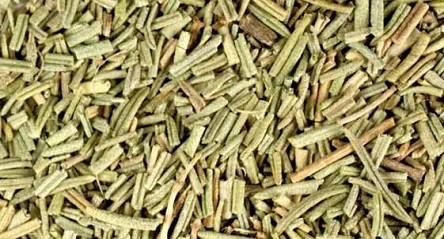 Indonesian cassia prices remain firm especially for better grades vera aa sticks.